As Locksmiths, we get asked a lot of questions. Most of the frequently asked questions we get asked are below. To get the answer, just click on the on the + symbol with your mouse. If you can’t find the answer you’re looking for then give us a call and we’ll be happy to help out. As trained professionals we can open your lock with the minimum of damage and we have the right tools for each job. We carry a wide range of stock so that any repairs and replacements required may be done ‘then and there’ saving you time and hassle. Locksmiths will advise on the best solution for you. There may be a more simple solution to the work you think needs doing; i.e. you think your locks need replacing. On evaluating your situation, a trained locksmith may be able to recommend the locks be ‘re-keyed’ instead of replacing. This would save time and money for you. I’m locked out, what do I do now? If you haven’t got a spare set of keys somewhere (with a trusted neighbour, safely stashed elsewhere on your property, etc.) then call a locksmith to get you in. NB: If the emergency is genuine, such as a child or animal locked in a car & with no way to get them out, you should call the police on 111 (in New Zealand). I’ve lost my keys, can a locksmith help? Yes, a locksmith can cut new keys from many types of locks. Just ask and they’ll advise you. A photo of the lock may help too. I’ve got the number of the lock, but no key so can you cut a new key? Yes, locksmiths can precisely cut new keys from your lock’s number. This is called ‘cutting to code’. Is it possible to have just one key for all the locks on my property? It certainly is. You may be able to keep all your existing locks; we’ll just key them all alike. We’ll let you know if any of the locks can’t be ‘keyed alike’ and give you some solutions to consider. My house/business keys are missing, do I need to get new locks? It is important to get this sorted quickly to minimise the likelihood of unauthorised entry. In most cases, locksmiths can re-key your locks which can be quicker and cheaper than changing the locks. You will be supplied with new keys. In some situations, it may be more cost effective to replace some or all of the locks affected. Again, your locksmith will advise on site. What does ‘Do not duplicate’ and ‘reg design’ on my keys mean? This means that the keys are part of a registered design and can only be duplicated when accompanied by a correctly completed letter of authorisation and given to the locksmith that made the design. This applies to restricted key systems. 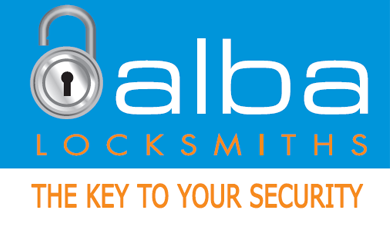 Alba Locksmiths reserves the right to refuse to copy any keys so marked. My key is difficult to turn in the lock, what should I do?? Your key or lock may have worn down over time and no longer fit the profile. Don’t try to force the key as it may break in the locks. 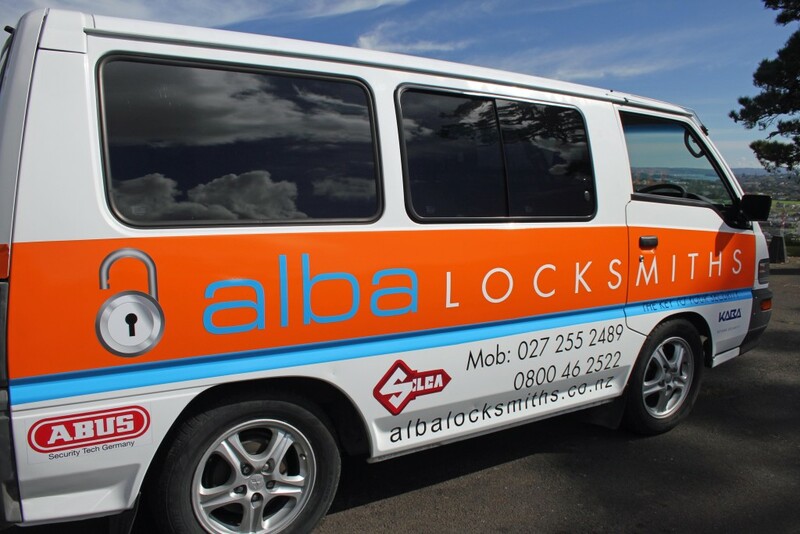 Give Alba Locksmiths a call and we can advise on how you can get that lock working better or attend your home or site to rectify the problem. Why do you want photos of the lock or key? Sometimes we’ll ask you to text us a photo of the lock or key so that we can identify the make and type, thus ensuring that we come to site prepared and make the process as quick as possible for you.